The premiere date for Universal Orlando’s newest attraction, Fast & Furious – Supercharged, has been revealed. 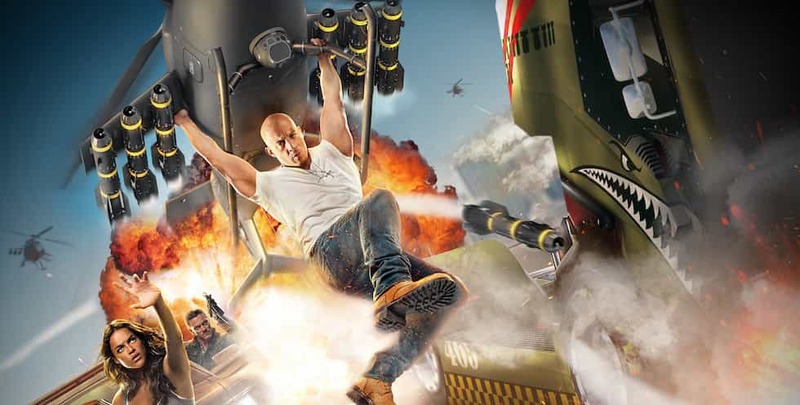 The premiere date for Universal Orlando Resort’s upcoming attraction, Fast & Furious – Supercharged, has been revealed. Although an opening date hasn’t officially been announced, the attraction is set to premier with a media and VIP party on the evening of May 2, and should be open to all guests on May 3, 2018. Soft openings are traditional for new attraction openings, and a soft open or technical rehearsal period for this attraction may occur before May 2. Until then, only the gift shop for the attraction, called Custom Gear Shop, is open to guests. When it opens, Fast & Furious – Supercharged will feature an original story that expands upon that of the film series. Guests will see Dom’s Dodge Charger parked outside of the ride building, and travel through recognizable locations in the queue, like the Family Room and Tej’s high-tech War Room. Stay tuned to our website, Twitter, Facebook page and YouTube Channel for more updates as the opening date for Fast & Furious – Supercharged approaches. For more information on this new attraction, and other Universal Orlando offerings, visit UniversalOrlando.com. Note: The original headline of this article said “grand opening” instead of “premier”. We changed it a few hours later to make it clear that the official grand opening date has not been set yet. Everything about this ride is terrible. It’s neither fast nor furious.